On Tuesday, 26 September 2017, Ambassador-Designate, H.E. 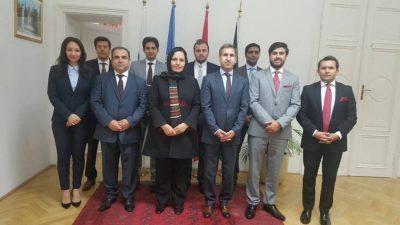 Khojesta Fana Ebrahimkhel met her team at the Embassy and Permanent Mission of the Islamic Republic of Afghanistan in Vienna. Fruitful discussions were held, resulting in comprehensive exchange of information and a number of new ideas on future endeavours of the Embassy and Permanent Mission.